The Activist is a headlong novel. We hurtle through the labyrinth of contemporary Nigerian life. One of the wonders of this fine book is that its author never fobs off on the reader a routine plot, a prefabricated sentiment, or a serious lecture without ironic undertones. Ojaide refuses to be dull. The Activist is a monumental literary achievement. The protagonist, clearly a symbol of the patriotic and visionary Nigerian, irrespective of ethnicity, trades the bliss of life overseas and joins the bandwagon to develop his native land. A memorable narrative, populated with characters so vital and real. A truly riveting and startling tale enriched with colourful and highly sophisticated writing. Only a gifted writer could combine such sophistication and passion. Ojaide takes the reader into a masterfully woven web of local and universal issues. This novel is both a befitting tribute to the late novelist, social critic and environmentalist Ken Saro-Wiwa and a welcome addition to the fast-growing corpus of radical literature in Africa. 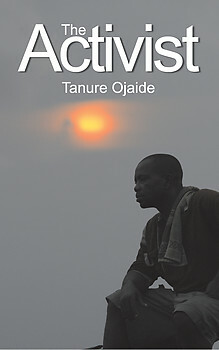 In The Activist, Nigeria?s acclaimed poet, Tanure Ojaide, brings his sharp sensibilities and writing skills to prose storytelling. The protagonist makes a reverse trip from America to a home whose young and able are straining at the leash to escape to the perceived comforts of the West. Ojaide weaves a compelling narrative that illuminates the contradictions of state and society in contemporary Africa. The Activist, however, is more than testimonial literature. It is visionary and bold as it attempts to answer the eternal question: What is to be done? At this moment, this book could not be more timely. The Activist is very timely. In his second novel, Tanure Ojaide weaves an intricate matrix of the conflicting needs of multinational oil exploiters, military dictatorship, and local communities concerned about their environmental livelihood. Tanure Ojaide was born in the oil-rich but economically impoverished Niger Delta region of Nigeria. He was raised by his grandmother in a riverine rural environment. He attended the University of Ibadan, Nigeria where he received his bachelor?s degree in English.